Back in the fifties, everyone knew the name of Buddy Ford in Canada. In his home town of Trois Rivières, he was the local hero, the man that every kid in the street wanted to be when he grew up. 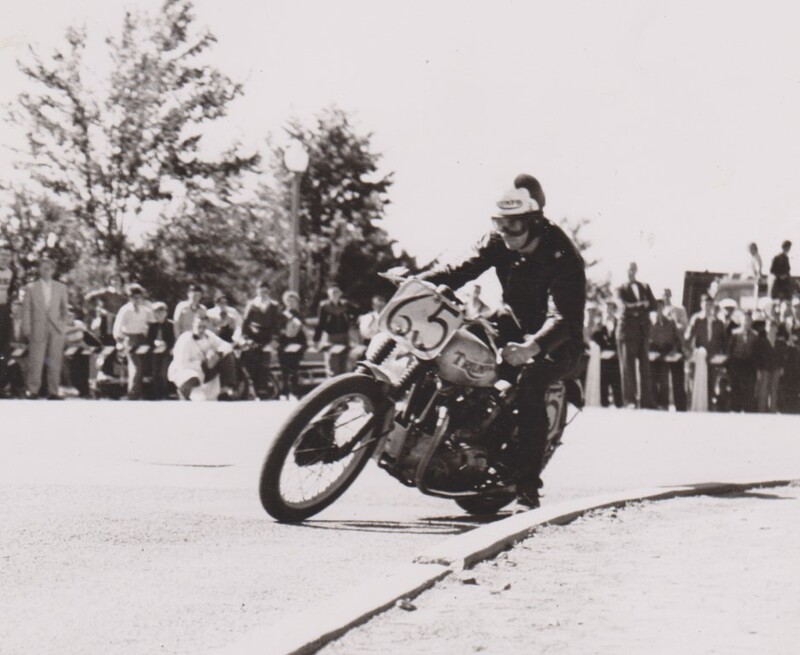 He was an outstanding performer in almost every aspect of Canadian motorcycling. Buddy was a nickname his friends gave him around the age of 16. His real name is Edward Ford, but everybody calls him Buddy even now at the age of 83. 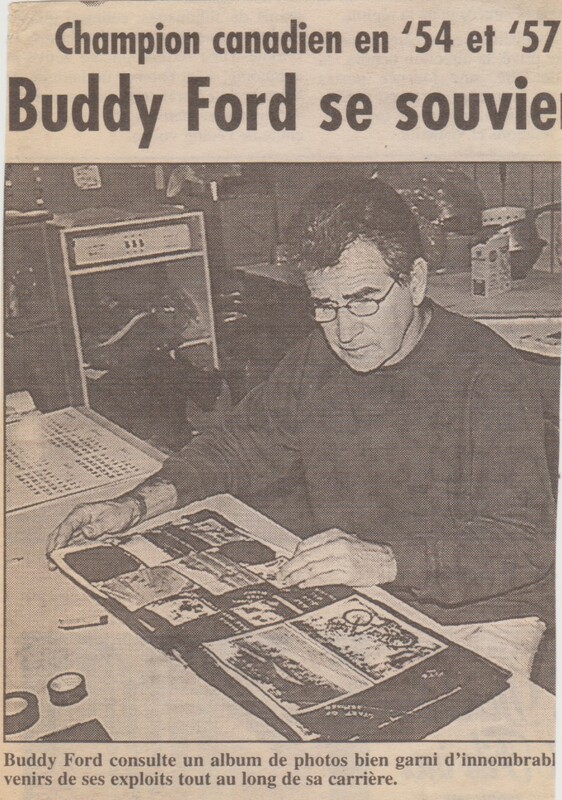 Buddy Senior was born on June 22nd 1933 in Portneuf, Quebec where some of his family owned and operated the paper mill. 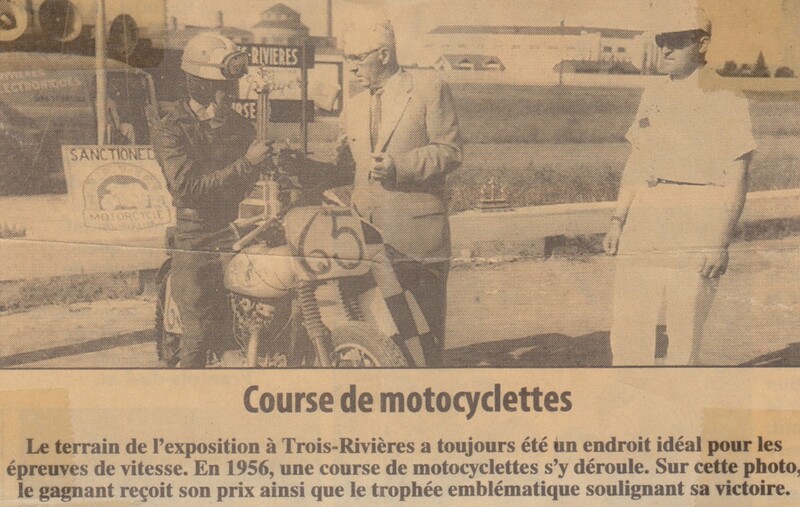 The family moved to Trois Rivières when he was young and his Dad, John Shibley Ford, started a motorcycle shop and Buddy worked there as a mechanic. Buddy lost his dad at the young age of 52, when he died of a heart attack shoveling snow and Buddy felt that it’s probably the racing that created the heart attack. His dad was a real crazy fanatic about racing. He loved it more than anybody else. 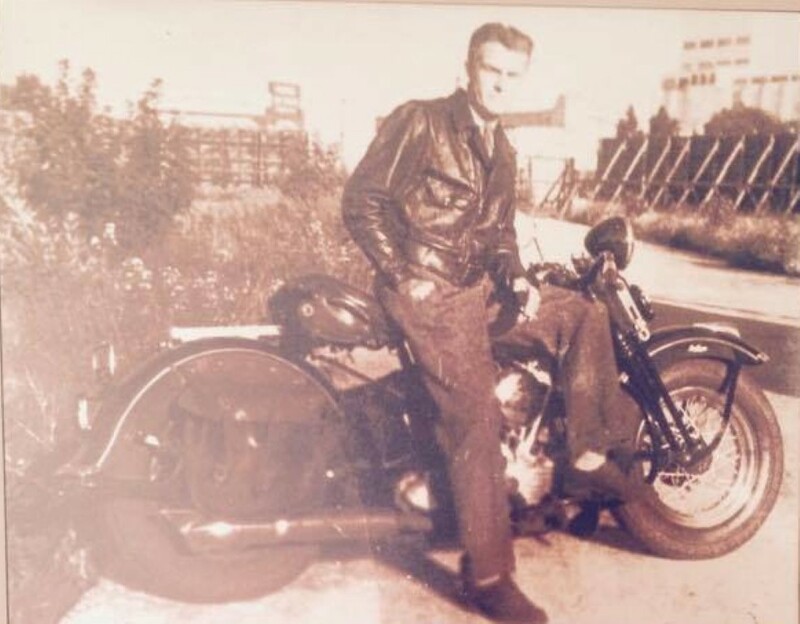 That’s where it all started, the passion for motorcycling that the Fords of today have. 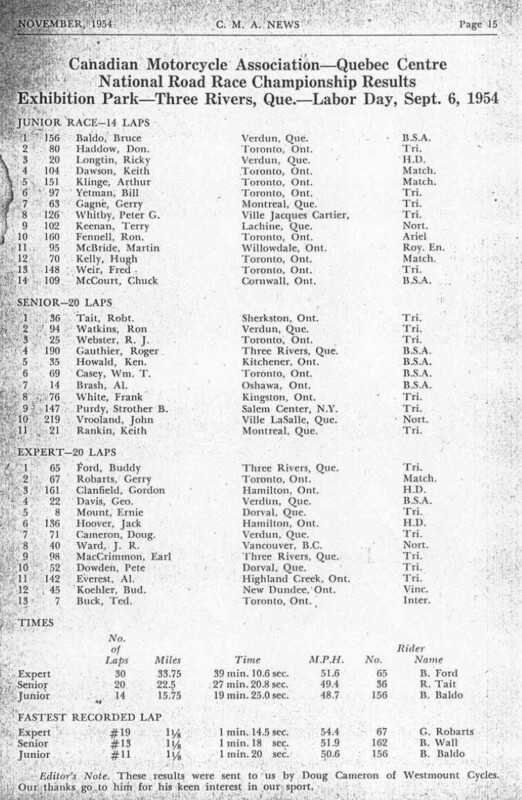 ‘’Edward Buddy Ford’’ was 1954 Canadian National Champion in Road Race & earned many National Karting titles as well. 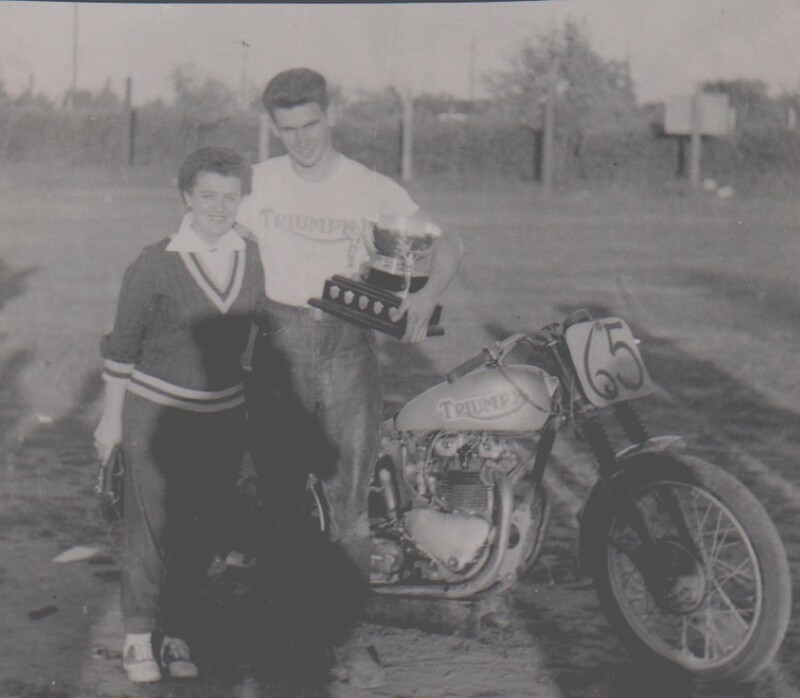 Buddy was also the king of Dirt Track in Quebec. 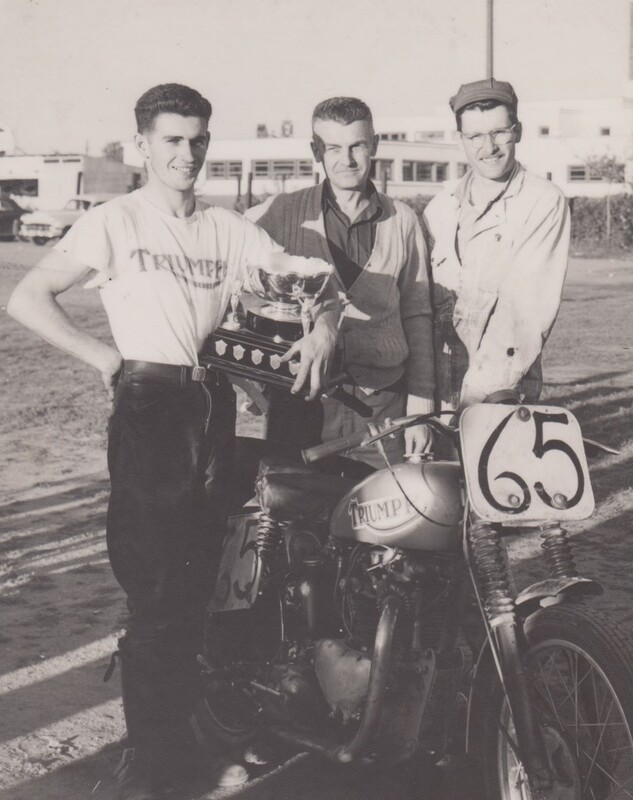 During his best years, he won the Trois Rivières Dirt Track and others on many occasions. 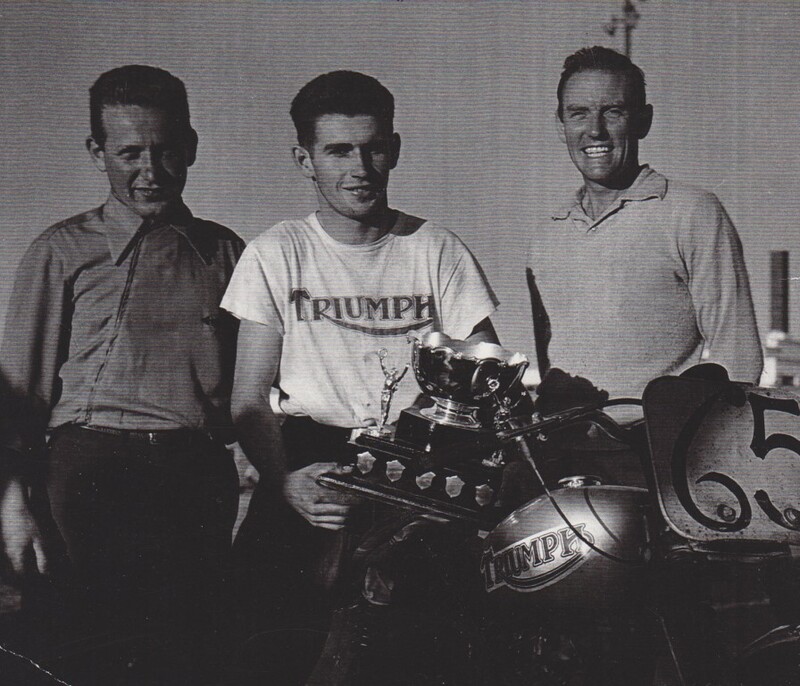 He was very well known in the US and had a factory ride with Triumph motorcycles. 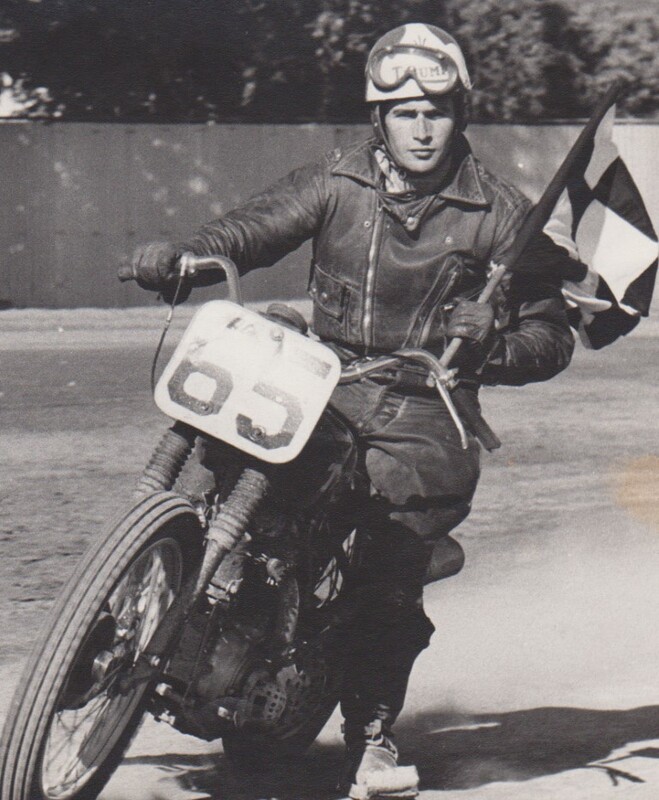 He would ride his street bike to Laconia where the factory was waiting for him with three motorcycles; decide what to put on which bike to go racing and ride the bike to the track with his wife on the back. There they would remove the lights and go racing. With not a penny in his pocket but just enough to get to the race, he had to win, and he did, in order to eat and get back home. Back then they would race 2 or 3 times in a weekend. His Karting skills were pretty insane. He won the Canadian National Title twice in 1959 and 1960 in Toronto over 60 racers and was a star in Ontario. In that era, he would drive his car with the kart on the trunk, bring it into the Motel at night to work on it, and would win everything in Quebec and Ontario. His top mechanical skills would have that 100cc kart engine purr to perfection, blowing everybody away. 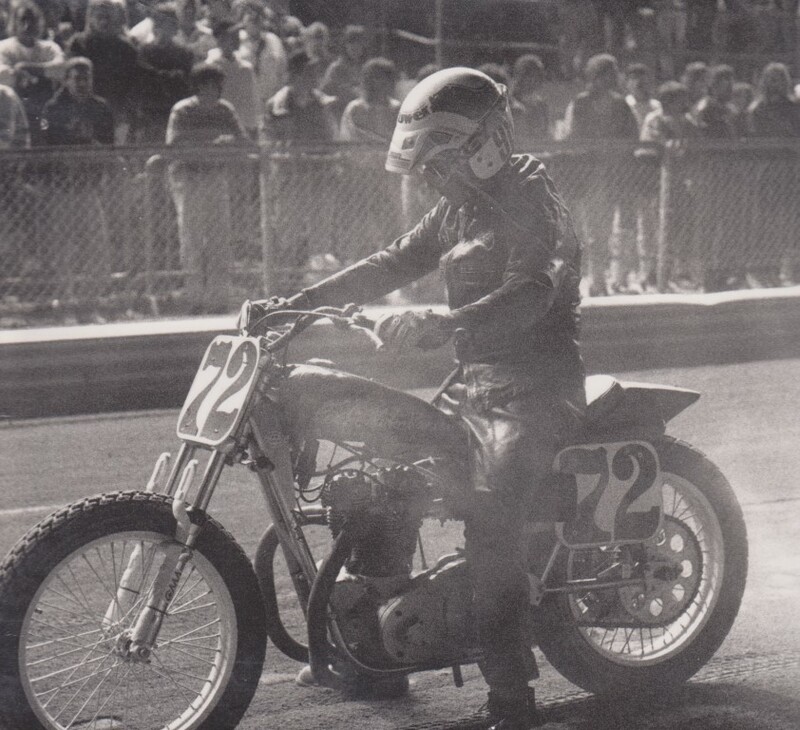 He raced Motocross that was called Scrambles back then, but didn’t like it and says he wasn’t very good at it. He ice raced with spikes at the Quebec City half mile, did some Road course races with his street 1967 Mustang, but that was too pricy to continue; raced snowmobiles for a bit, but that was too cold. 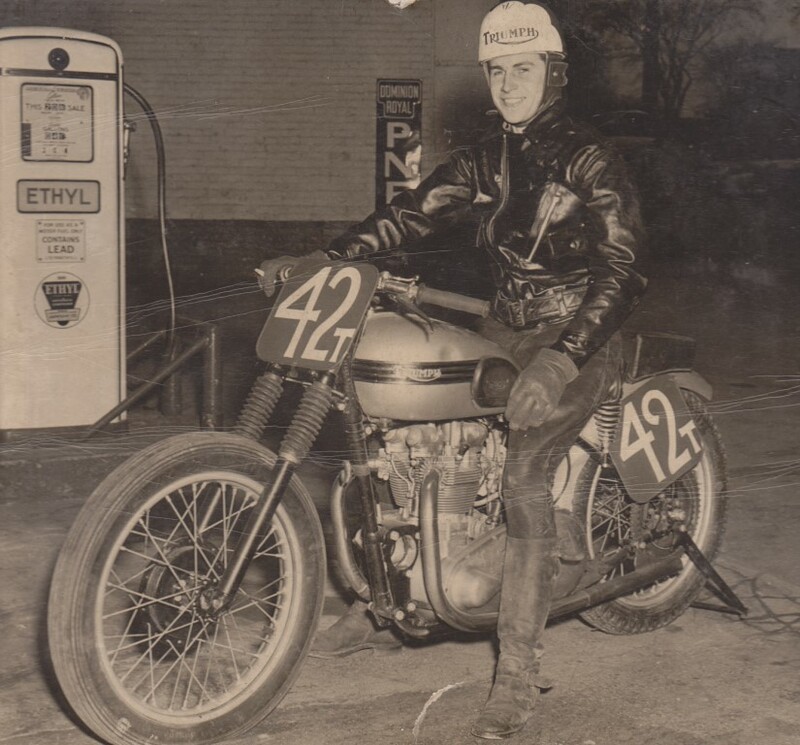 Buddy Sr raced all around Quebec, Ontario and the Eastern US, competed in the Daytona Beach 200 mile race on the Beach and also ran on the Speedway the 1st year it opened for motorcycles. Buddy made the decision to end his racing career in 1964. 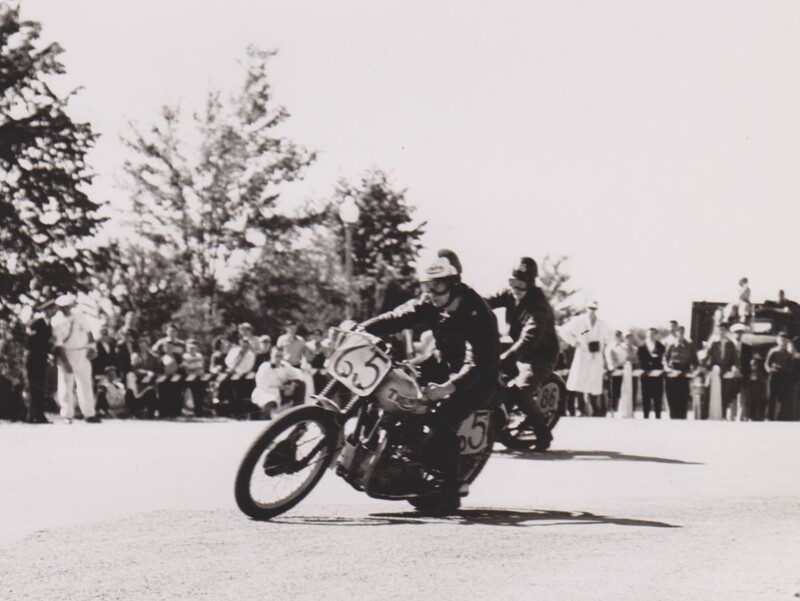 Running a Norton Manx at a road race in Nova Scotia, he took a spill and ended up losing the use of two fingers – they’re still there but they don’t work. 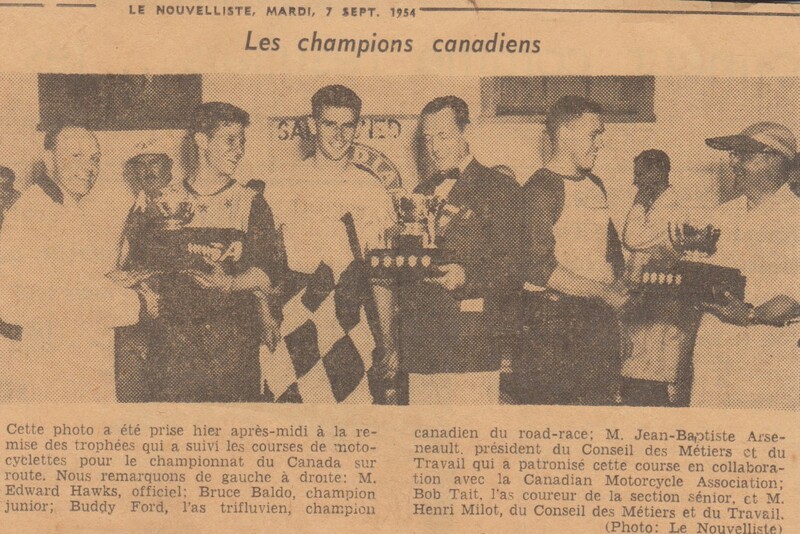 After that accident, he concentrated on sales and then dropped his job as advertising salesman and moved the Ford family north in the town of Trois Rivères to start a motorcycle, snowmobile and moped dealership in 1971, Buddy Ford Sports. Customers loved him, everybody called him Buddy and he helped out many people with his shop; everybody loved him and to this day, he is a living legend in Trois Rivières. Buddy Sr’s wife, Claudette Ford was a big influence in the family. She was very good at keeping the books straight and helping to run the family business. She was there at all the races to support everybody. 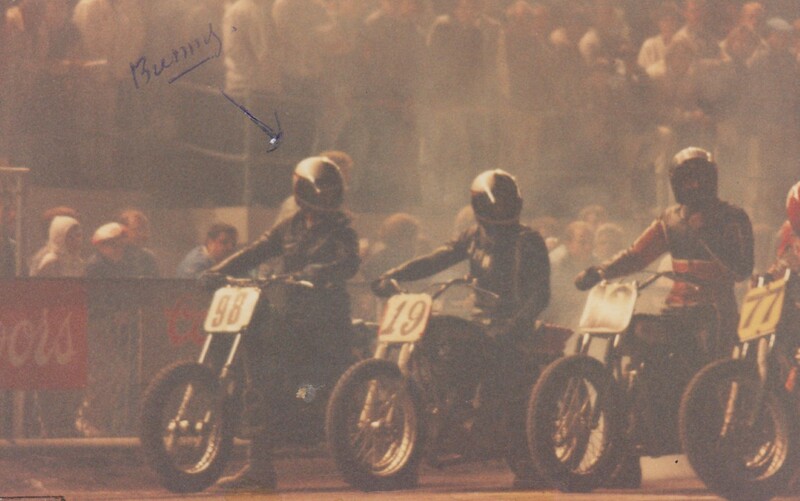 During son, Buddy Jr`s career in motocross, dirt, ice and supermoto, Dad was his best sponsor and full time mechanic and there was never a race that Buddy Jr did not finish. 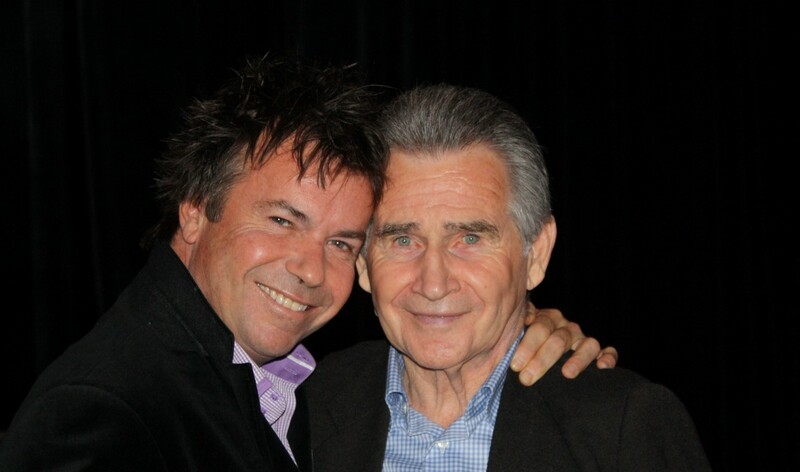 As his son`s mechanic he received the Mechanic of the Year title on the circuit. In 1985, Senior helped Junior start as an event promoter. They worked night and day to put on the first of many shows. Recognized as one of the best in the business of promoting dirt bike events, the Fords continue trying to give back to the sport, a little piece of what they had.